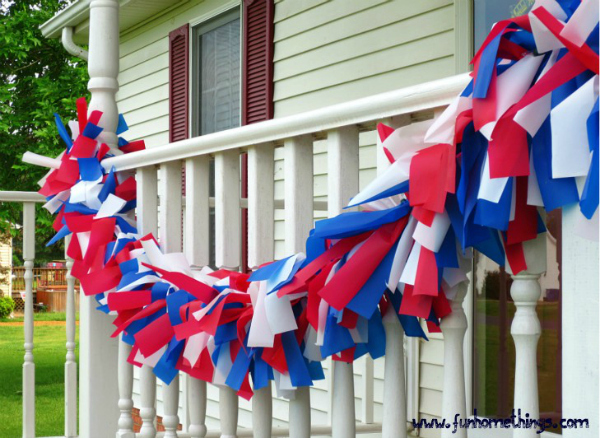 Last Minute Fourth Of July Ideas! July 4th is just around the corner. Some of you may be thinking “oh my gosh I am no where near ready!” Well I have a few helpful solutions for you. We will discuss two wonderful yet easy recipes, two DIY quick and easy decorations and two tips that will make your backyard party smooth sailing! WONDERFUL YET EASY JULY 4TH RECIPES! -Always know a round about head count: This will allow you to know how much food you need, how much seating will be used, and how many guest you need to keep entertained. Sometimes get togethers can get out of hand with the amount of people. So just make sure there is ample seating and enough food to feed an army. -Be able to delegate tasks to friends or family: In my opinion if you are throwing a party of 20 or more DELEGATE! Yes the party may have been your idea but whether you want to admit it or not, you are not super man. Have someone help you set the tables and decorations or any other tasks you have on your plate. It will take so much stress off of your shoulders with time frame and tasks to be done if something as simple as setting a table is handled by someone else. It is a sigh of relief to have helping hands so do not be afraid to ask. All in all I hope you have enjoyed this article and please everyone have a SAFE and FUN holiday weekend! Use these tips as helping hands and make your party a success! Be sure to let me know of any awesome holiday ideas you all might have. I look forward to hearing them! Have a wonderful weekend everyone!